We exist to get Junior golfers out playing this wonderful game. Whether you are challenging to win the county open or are just starting out on your golfing journey this is the place to be! We cater for all, with our 18 hole and 9 hole stableford events to our flag events for those a little earlier in their career on the course we will get you out playing with those of similar ages and abilities. Our flag events consist of each player being awarded 36 shots to get as far round a shortened golf course as possible. Points are awarded based on each players finishing position in the flag event and stableford score in both the 9 and 18 hole stableford. For those returning from previous years it is nice to see you back, for those new to the tour then a very warm welcome! 2019 marks a big change for the tour, we will be able running over 30 events this year to help encourage junior golfers get into the game and more importantly stay in the game! This year we will also be offering two options for joining the tour, every member of the tour will pay a £20 joining fee which will get them a welcome pack at their first event and then each golfer will have the option to pay as they go per event or join the whole tour. We will be running three different events within the tour, an 18 hole stableford, 9 hole stableford and our flag events. 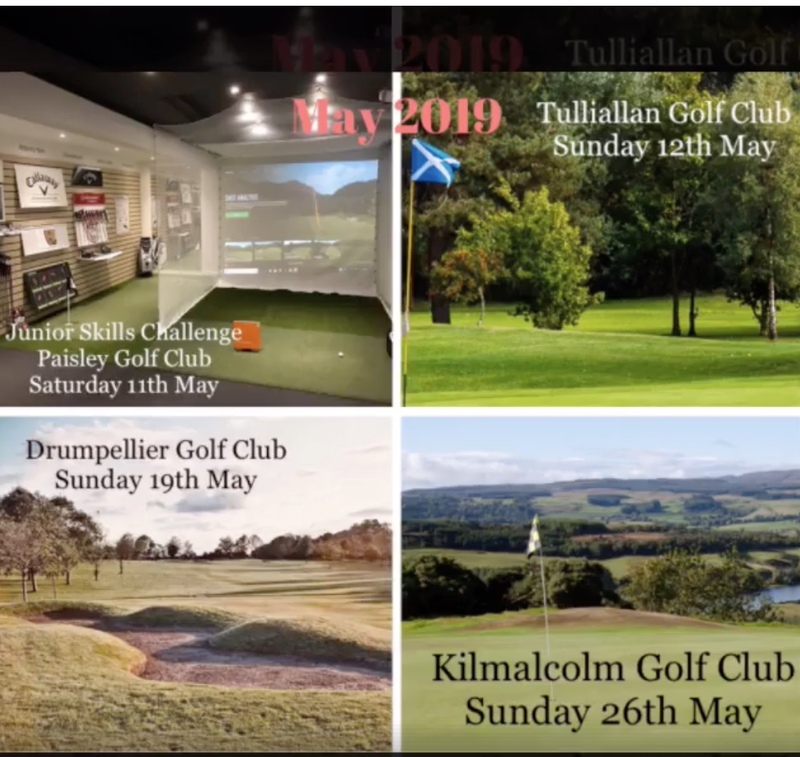 Each event will allow golfers to accumulate points over the course of the season and the tour will culminate in our tour championship finals at some of the very best courses Scotland has to offer! We PROMISE that nobody will be disappointed in the venues we have lined up for our finals!